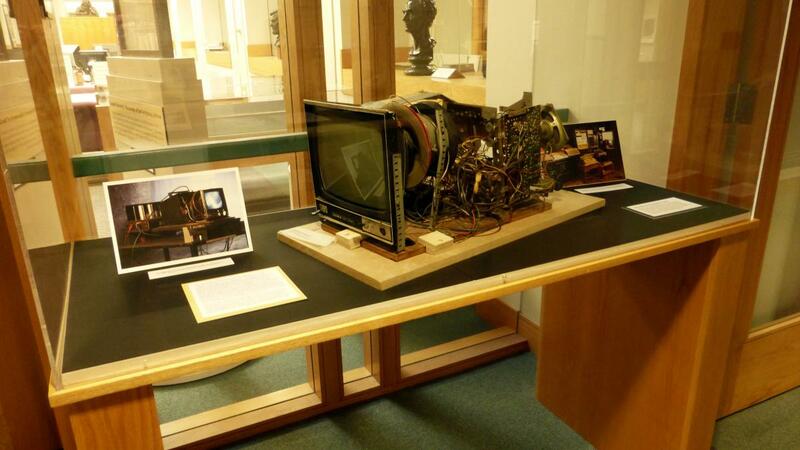 “Signal to Code: 50 Years of Media Art in The Rose Goldsen Archive” explores 50 years of electronic and digital artwork and ephemera held in the Rose Goldsen Archive of New Media Art. 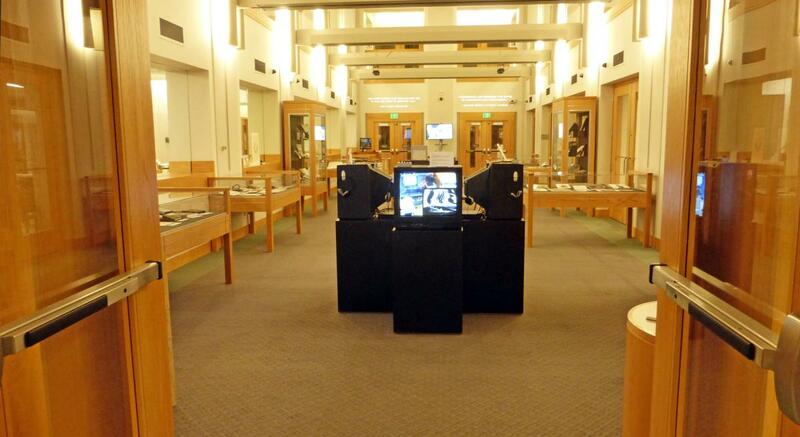 The exhibition, on display in the Hirshland Gallery of the Carl A. Kroch Library from March 17 to Oct. 14, 2016, offers a unique opportunity to experience more than 60 original electronic and digital artworks in video, sound, portable media and the Internet, on 15 separate media display stations. The exhibition also features posters, pamphlets and other items documenting the work of international media artists and the granting agencies and cultural centers that have supported this work across artistic boundaries and geopolitical zones. 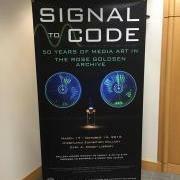 “Signal to Code” provides a special emphasis on the influential histories of media art in Ithaca and the Central New York region, along with the Goldsen Archive’s extensive partnerships in Asia. 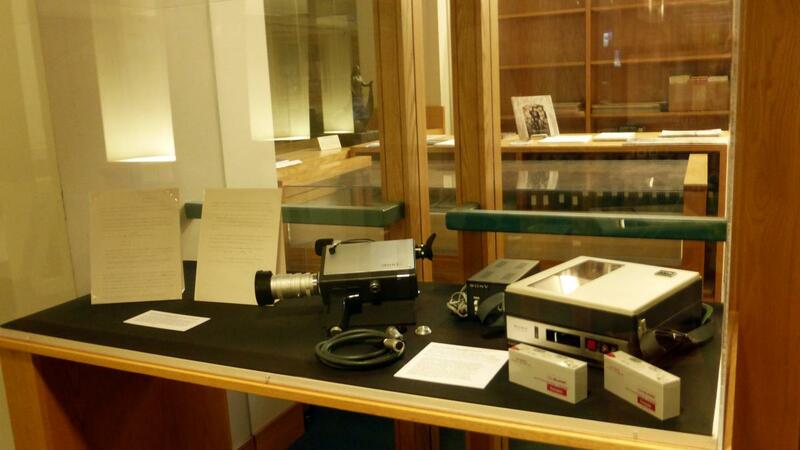 The Goldsen Archive is the home of the ETC moving-image and ephemera collections. Many artists’ videotapes are included in this exhibition, as well as posters, letters and representative analog tools and systems. We invite you to “Signal to Code” at the Cornell Campus in Ithaca, NY. This exhibition has been funded through the generous support of the Stephen ’58 MBA ’59 and Evalyn Edwards ’60 Milman Exhibition Fund, and the Rose Goldsen Lecture Series.